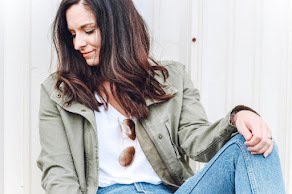 Today, I'm sharing my monthly roundup of my favorite purchases. 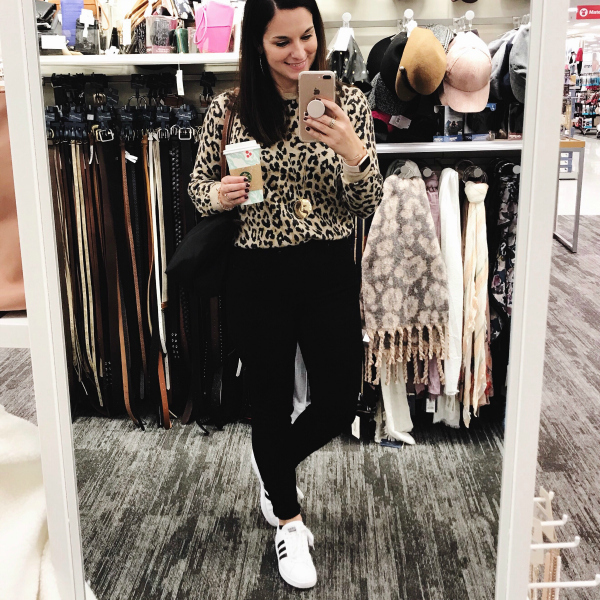 Like I've mentioned before, having a life and style blog means that I definitely purchase more clothing and accessories that I would if I wasn't running a blog part-time. But, I love finding pieces for y'all that make you feel good and that are practical for your every day life. I like being able to find pieces that are available for you to buy right now so that means that I shop often. But, I have also been focusing on investing in classic items that can stand the long haul in my closet. Sometimes (actually quite often and this applies to more than clothes), quality is much more important than quantity. Even though last month was my birthday month, I really didn't buy much. I am trying to be more thoughtful in my purchases and do less impulse purchasing. I've also cleaned out so much stuff house wise and clothing wise. Decluttering is really therapeutic for me! G L I T T E R H E E L S A N D E A R R I N G S | One of my favorite ways to dress up a look or make it look brand new, is with accessories! 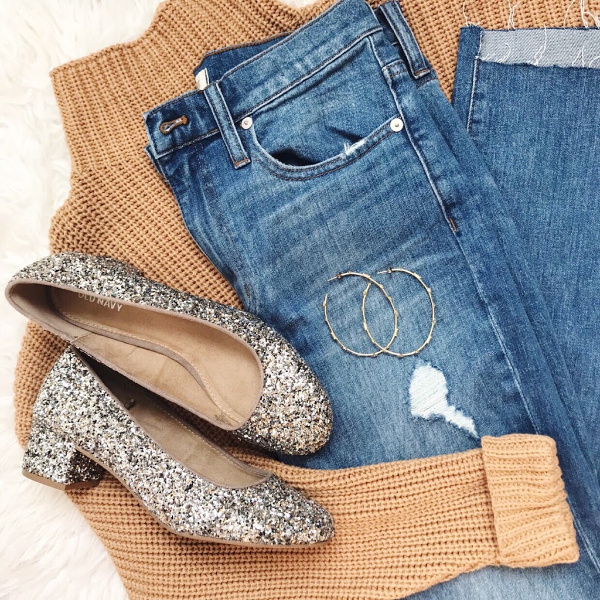 Take a basic black top and a pair of jeans plus budget friendly glitter heels and fun earrings for a casual, festive outfit. I have been wanting a pair of glittery heels and I love this pair. They are super affordable and so comfortable to wear! I found the fit to be true to size. These hoop earrings were my Kendra Scott half price pick for my birthday month. You can get any piece for half off when you shop in a Kendra Scott store during your birthday month! I can't personally wear heavy earrings but these don't bother my ears at all. I love them! B L A C K J E A N S | My old pair of black jeans had seen better days so I upgraded to this high rise pair. I also own these exact jeans in a dark blue color and they are my favorite! They don't stretch out during the day at all but they are super comfortable and very flattering. These jeans fit true to size (I got a regular length and I'm 5'5") and I would highly recommend them! B A N D A N A | Right now, I don't own many bags. I have found that I just really love my Madewell totes and a couple other bags so I pretty much got rid of all of my other ones. 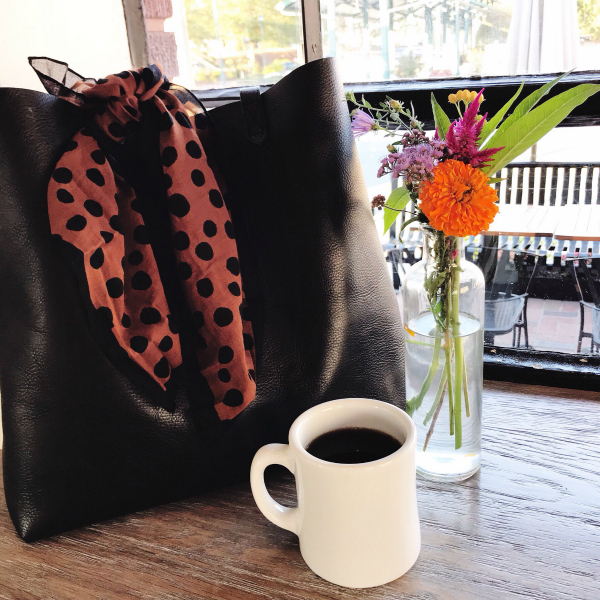 The leather on this transport tote just gets better with time! To make my bags feel new, I love adding scarves and bandanas to create a new look. 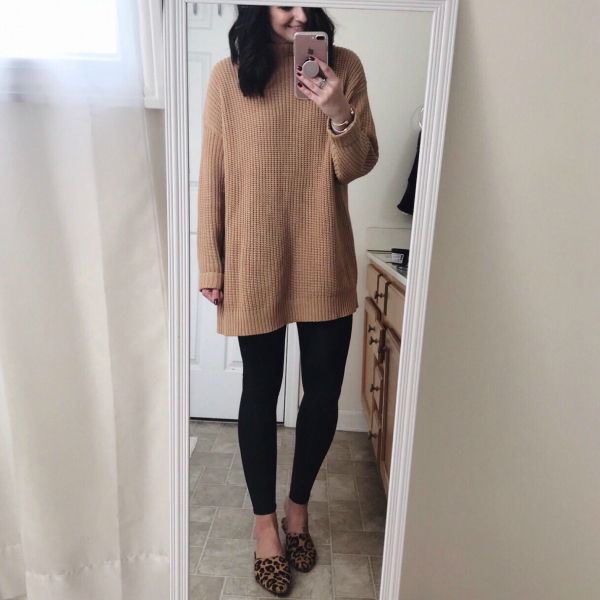 This cute leopard one was under $10! O V E R S I Z E D S W E A T E R | This sweater is definitely my most favorite purchase this past month! I love the neutral color and I really love that it's long enough to wear with leggings. I have literally worn this sweater four, maybe five times since I got it mid-November. I got the size extra small/small because it does fit oversized. 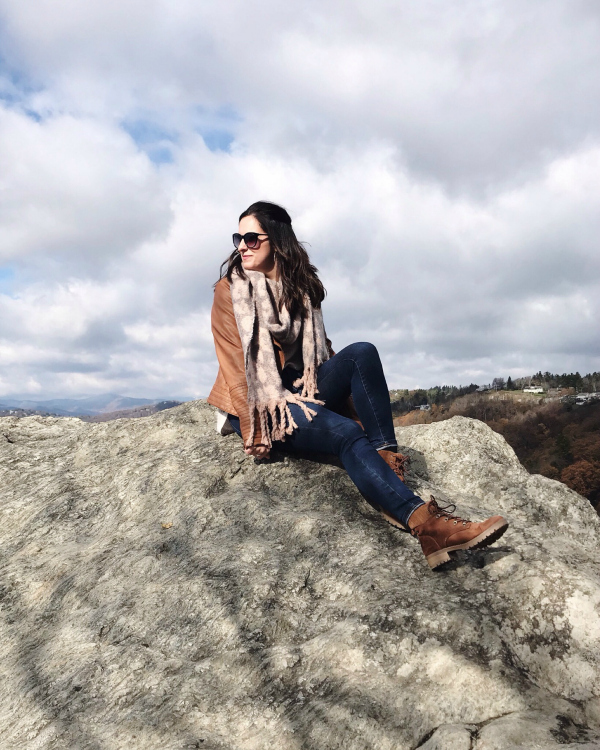 It's a great piece for fall and winter! B O O T S | I have been wanting a pair of hiking boots were a good balance between something you would legitimately go hiking in and the boots with the fur. I hit the jackpot with this pair! They are under $40 and perfectly casual for everyday wear. I usually wear a 8.5 but I got an 8 in these (mostly because the store was out of my normal size) and they fit perfectly so I would say they do run just a little bit on the big side.